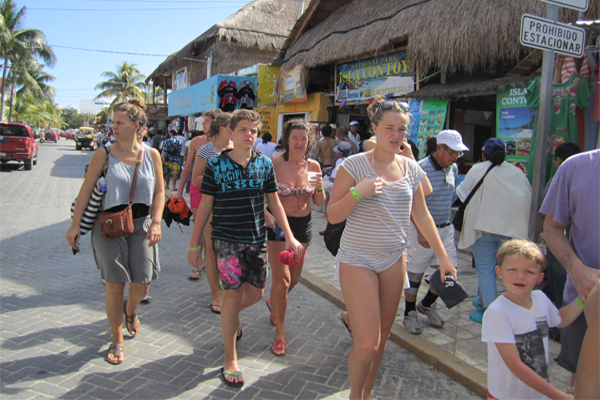 Americans and Canadians represent 50% of all tourists who visit the Riviera Maya, followed by Europeans, while Mexicans make up only 20% of the total figure. The market segments, noted that Americans remain in first place, who, in addition to the Canadians, represent 50% of all visitors, while the European market occupies the second place, highlighting the arrival of British travelers, followed by by the Spaniards and the third place is occupied by the Mexican market, which represents only 20% of the total number of visitors. The winter time is the best season for the arrival of foreign tourism, when it is very cold up north in countries such as Canada and the United States. During the winter season, Americans and Canadians represent 80% of the total number of visitors.